Long before we ever used the term “road warriors” to describe business professionals who use smartphones and laptops to manage tasks outside the office, many companies were already employing a different, but equally critical kind of mobile workforce. We’re talking about field service teams, whose efforts arguably make the difference between businesses that grow and those that stagnate. In a similar way, advanced technologies can now make the difference between field service teams that deliver an exceptional customer experience and those who don’t. Whether they are installing a product on a customer site or making an essential repair that fixes a problem, field service teams need to be as productive, as efficient and as effective as possible. As more companies emerge as purely digital entities -- or as their customers prioritize digital channels in how they purchase or interact with a company -- field service teams have also come to represent one of the primary ways customers interact with them in person. That means the impression field service teams make matters more than ever, which is why more Canadian companies are looking at Salesforce Field Service Lightning to spark a new way of managing those teams in the best way possible. Today’s top field service challenges: From the difficulties of coordinating dispatchers and scheduling technicians as customer demand fluctuates to cost pressures and an overall lack of analytics, there are all too many areas where field service management can suffer. Benefits that define field service success: Field Service Lightning customers have started to evaluate their return on investment (ROI) with some very specific and tangible key performance indicators. These include increased visibility, the ability to get to more orders and to fulfill them in ways that boost customer satisfaction. 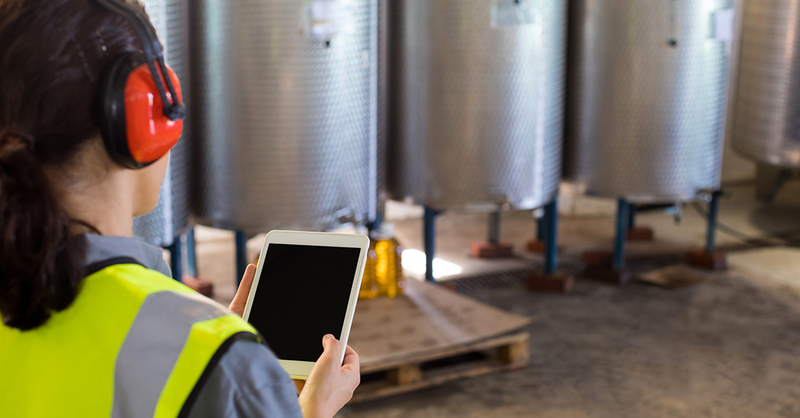 Best practices in field service transformation: As technologies like cloud computing, mobile computing and artificial intelligence are adopted across most major areas of companies, we’ve all learned a lot about what works and what doesn’t when you’re introducing big changes into business processes. The guidebook looks at how these apply from a field service perspective. The Case for Salesforce Field Service Lightning: Even when companies know they need to bring on the right tools, choosing the right vendor can be a daunting task.The feedback Nucleus Research got from customers about their rationale and the specific features they appreciate couldn’t have been clearer. As part of deploying Salesforce Field Service Lightning, you’ll capture a lot of data that once would have largely been out of reach to most organizations. You’ll also start to enjoy the ability to study that data and gain valuable insights to make significant improvements. Before that happens though, conduct a self-evaluation of what you already know about your field service team’s strengths and weaknesses. For example, to what extent can you answer any or all of the following questions? What are your total field service costs per year, and how have they changed based on business growth? How can field service performance be correlated to overall customer satisfaction metrics, whether those include CSAT, Net Promoter Score or some other metric? What does your service request intake, scheduling, dispatching and fulfillment process look like from beginning to end -- are there gaps or nuances that are only known to team members? How does the process change based on customer size, product or service category, or geography? How accurate are your numbers around the timeliness of your field service team’s response? How often do customers need to be serviced multiple times, and how much time is spent gathering the right information to do a job? It’s okay if this assessment brings out some troubling or even embarrassing gaps. The whole point of using technology like Field Service Lightning is to close those gaps, and you’ll be better able to do so when you know in advance what they are. Sometimes when companies are focused on generating demand for their products and services, they create what’s called an “ideal customer profile” of the person or company most likely to contribute to growth or other business objectives. The smartest companies design the experience they offer based on those ideal customer profiles -- and field service should never be left as an afterthought when they do so. Now that you’ve looked internally at how your field service team operates, take a walk in your customers’ shoes. What does it look like from their perspective? How much information do they need to offer (or offer multiple times, in some cases) to get a technician on site? What kind of communication do they get on the status of their request? What kind of follow-up is done after problems are resolved to prevent similar issues? As you deploy Salesforce Field Service Lightning, you’re likely to make marked progress on the quality of field service as it relates to your customer experience, which in turn could play a big role in boosting customer retention and word-of-mouth marketing among your biggest clients. Unlike office workers who moved from desktops to smartphones, or from on-premise applications to cloud-based apps, field service team members have often been left to work in highly manual ways. As the Nucleus Research guidebook notes, these are employees who may be daunted, at first, by the difference between working with paper and pens, and advanced technologies. Rather than foist change upon field service teams and hope for rapid adoption afterwords, companies might want to open the dialogue now. Ask about field service team members’ biggest professional goals, for example, and any of the operational frustrations that get in the way. Then, lay the groundwork for change by helping to clarify the ways in which technologies like Salesforce Field Service Lightning will make them more empowered, more autonomous and ultimately better able to deliver on what’s asked of them. A lot of that dialogue, of course, could be supported by using the details offered in Salesforce Field Service Lightning, a guidebook from Nucleus Research. Download your copy today.